The Asian citrus psyllid is a tiny, mottled brown insect about the size of an aphid that poses a serious threat to all of California's varieties of citrus (e.g., oranges, grapefruit, lemons, and mandarins). The insect is associated with the fatal citrus disease Huanglongbing (HLB), also called citrus greening disease. 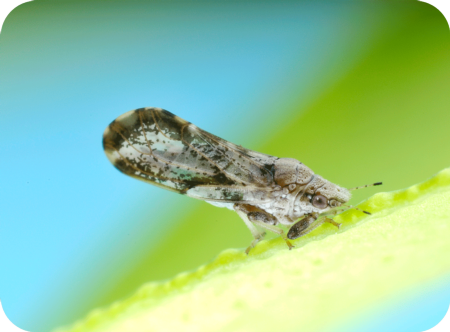 The psyllid takes the bacteria into its body when it feeds on bacteria-infected plants and spreads when a bacteria-carrying psyllid flies to a healthy plant and injects bacteria into it as it feeds. 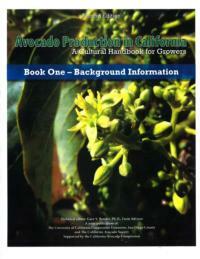 HLB can kill a citrus tree in as little as five years, and there is no known cure. All commonly grown citrus varieties are susceptible to the disease. The only way to protect trees is to prevent spread of the HLB pathogen in the first place, by controlling psyllid populations and removing and destroying any infected trees.